Size: 14 x 18.5 inches. 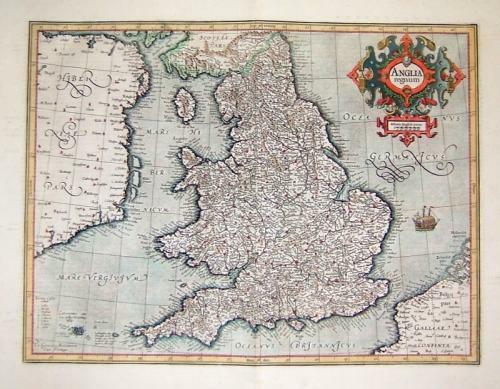 Duisburg 1595: a map of England from the French Text edition of Mercator's Atlas III. With a highly decorative strapwork title cartouche. A strong impression with wide margins. A small centerfold tear in the bottom margin does not enter the image and will not affect framing. Very good condition.